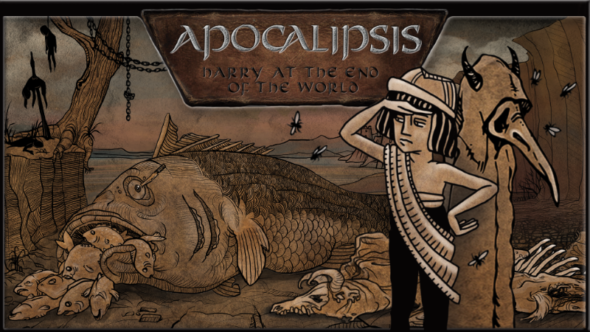 Klabater announced the first DLC for Apocalipsis: Harry at the End of the World. It’s called “One Night in the Woods” and is available for PC as of today. The original game will soon be released on consoles with the Nintendo Switch version coming first. “One Night in the Woods” is a prequel. During Harry’s adventures he was being hunted by unsettling dreams about his beloved Zula dancing around fire in the woods. In the DLC you take Zula’s role to discover secrets of the woods and reveal the story behind her mysterious disappearances. 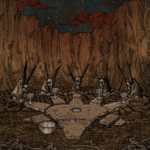 The plot will be narrated by Nergal once again, frontman of Behemoth. His deep and dark voice are perfect to guide the player through madness and despair. Could Zula be guilty of witchcraft afterall? 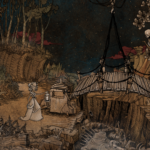 The original Apocalipsis: Harry at the End of the World is a traditional point-and-click adventure game where solving puzzles is accompanied by discovery and accomplishment. 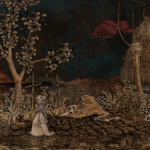 With a story about a broken heart, redemption and of course, the end of the world, the DLC is a beautiful but ominous hand-drawn art and music score inspired by the Dance Macabre.